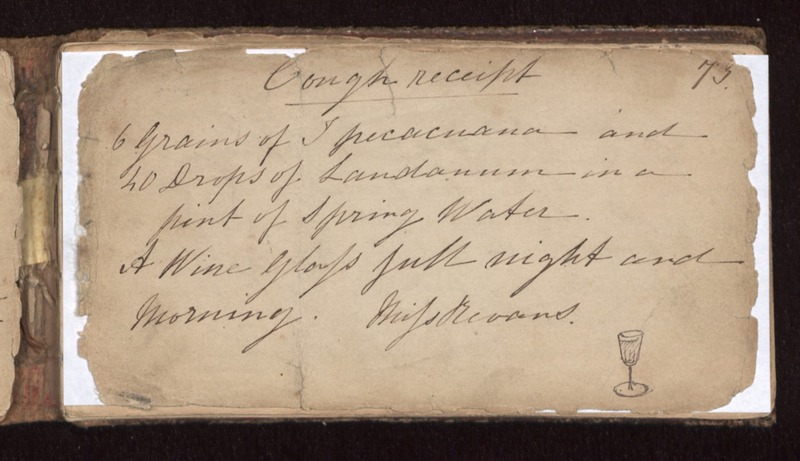 Cough receipt 6 grains of Ipecacuana and 20 drops of laudanum in a pint of spring water. A wine glass full night and morning. Miss Revans.